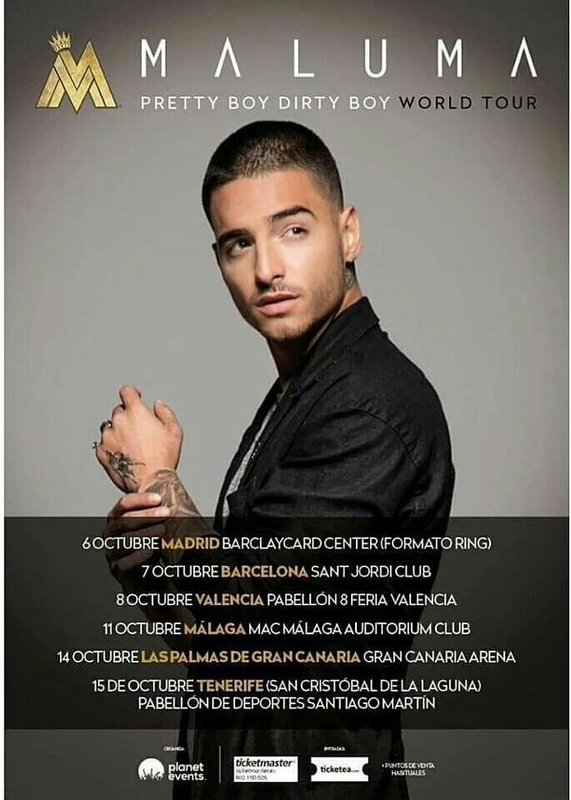 One of Colombian's most popular pop stars Maluma is coming to Tenerife for one night only to get the crowd grooving to his catchy latino reggaton style beats. Maluma is a singer and songwriter with a series of smash hits in his own country and internationally. He will be perfomring at the Pabellón Insular Santiago Martín in La Laguna, Tenerife on the 15th October. Tickets start at 66 Euros.